All of your teeth play an important role in speaking, chewing and in maintaining proper alignment of other teeth. Tooth loss doesn't necessarily have to occur as you age, but if you do lose teeth, they must be replaced to maintain proper function of your mouth. Fortunately, there are options for correcting tooth loss. A bridge (fixed partial denture) is a device fills the gap where teeth are absent. Fixed bridges are bonded into place and can only be removed by a dental professional. 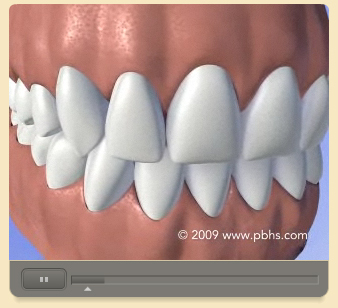 Removable bridges, as the name implies, can be taken out and cleaned. Fixed bridges offer more stability than their removable counterparts. The attachment procedure usually takes two or three appointments to complete. At the first appointment, Dr. Shah will prepare the teeth on either side of the gap by removing a portion of the enamel and dentin.